Pull-Ups is the only exercise I do that focuses on the latissimus. Pull-ups are good for other muscles too, like your forearms, triceps and traps, but for me the latissimus is the muscle that changes your look most drastically. 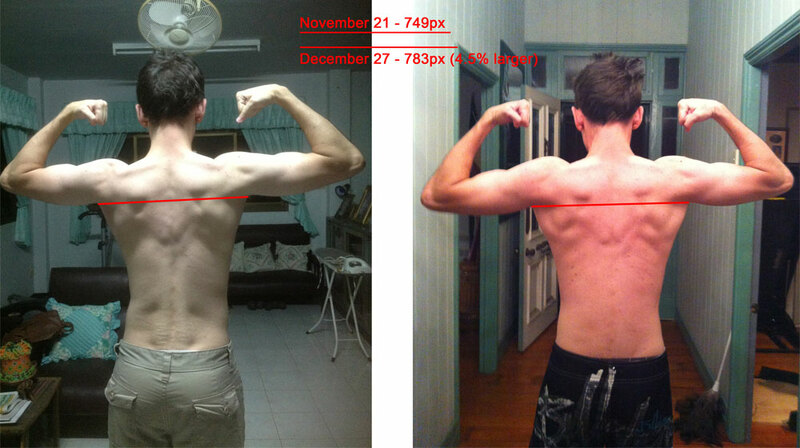 Over 5 weeks of training I put on 4.5% to my back width. Read on to see how. At the start of the training period I was doing 45kg machine pull-downs, and by the end I was doing 11 body weight pull-ups with a little momentum push with the toes at the start of each rep. Pushing with the toes to start the rep is considered cheating by some, but it is harder than the machine pull-downs I was doing previously, so I consider it a stepping stone to perfect technique pull-ups. I trained pull-ups 3-4 times per week, always with a day break between training sessions. Session 1: 1 body weight pull-up then 11 pull-ups with my feet on a bench for assistance. Session 3: 2 body weight pull-up then 10 feet assisted pull-ups. Session 6: 3 body weight pull-up then 9 feet assisted pull-ups. Session 10: 5 body weight pull-up then 7 feet assisted pull-ups. Session 15: 7 body weight pull-up then 5 feet assisted pull-ups. Session 16: 11 body weight pull-up then 1 feet assisted pull-ups. The goal of each training session is to do more real pull-ups and less assisted pull-ups than the previous session. It’s pretty easy to improve like this each session, and you can see by my results, that after 5 weeks this technique works. It should be combined with quality and sufficient eating (a calorie surplus from good foods) immediately after and for 1.5 days following each training session. 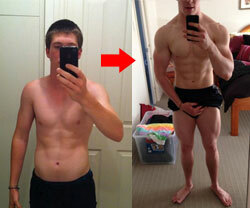 Yes, pull-ups do build muscle. My case study is targeted towards beginner and intermediate trainees, since intermediate-advanced trainees should already be doing body weight pull-ups (and should therefore be upgrading to weighted reps). This case is good for newer trainees though, who can benefit from upgrading from assisted reps to full reps, and it can be done relatively quickly too. When you upgrade to more difficult rep technique, your body adapts through creating bigger and stronger muscles. 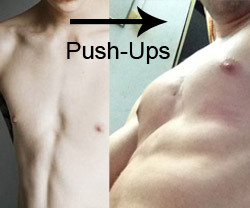 No Responses to "Do Pull-Ups Build Muscle?"